After a shocking defeat from South Africa in the Rugby Seven’s last night – can you believe it?! It seems appropriate that this New Zealand feature is all about alcohol, something I’m sure the rugby boys were drinking plenty of last night! New Zealand is one of the biggest producers of new world wines, due to the perfect climate and conditions. I visited a few vineyards during my travels and was not disappointed. 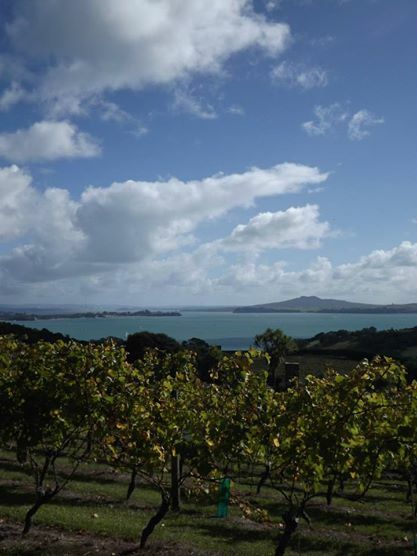 In the North Island, you can catch a ferry from Auckland over to Waiheke Island. A beautiful little island with plenty of beaches and – more importantly – vineyards! My first impression of Waiheke was that this was one of those places I could picture myself living some day. A little house on the island and just a thirty minute ferry to the bustling, busy city of Auckland – perfect! It was so picturesque, as we sat on the beach we noticed dolphins chasing fish and playing in the bay. I was going on a guided wine tour of the island which would include visiting three vineyards and tasting some of their best wines. At each vineyard we were led out to the vines where they explained how they harvested the grapes as we sipped on a glass of their signature wine. Before coming to New Zealand I was never really a fan of red wine but by the end of the day I was purchasing a bottle of the stuff! The staff at each winery were knowledgeable and friendly and I loved learning about the production of wine on this remote island. The most common wine we see here in the UK from New Zealand is Sauvignon Blanc, yet on Waiheke it was mainly reds, bordeaux blends and syrah. Most of the vineyards had stunning, fine dining restaurants attached to them and I could honestly imagine myself living there, going for lunch at the vineyards every other weekend. I was in love. 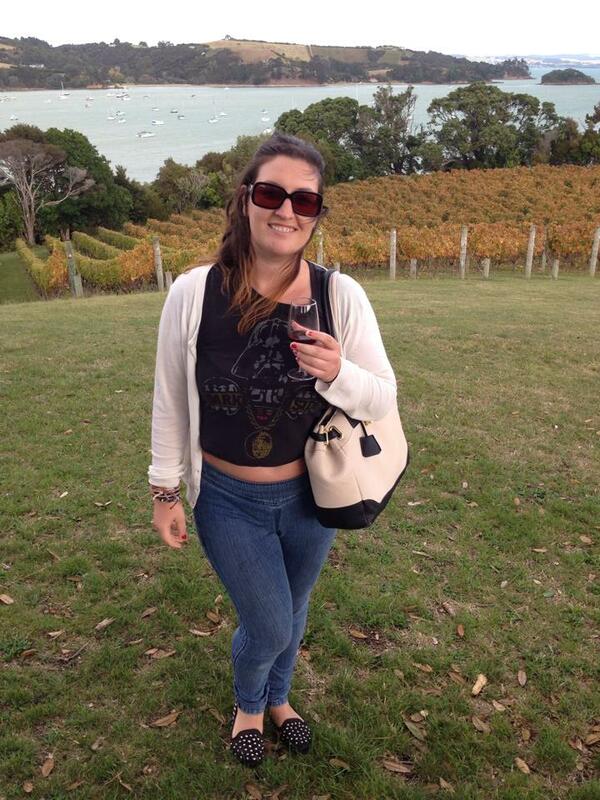 On arriving in the South Island, the very first thing I did after getting off the ferry was go on a wine tour. 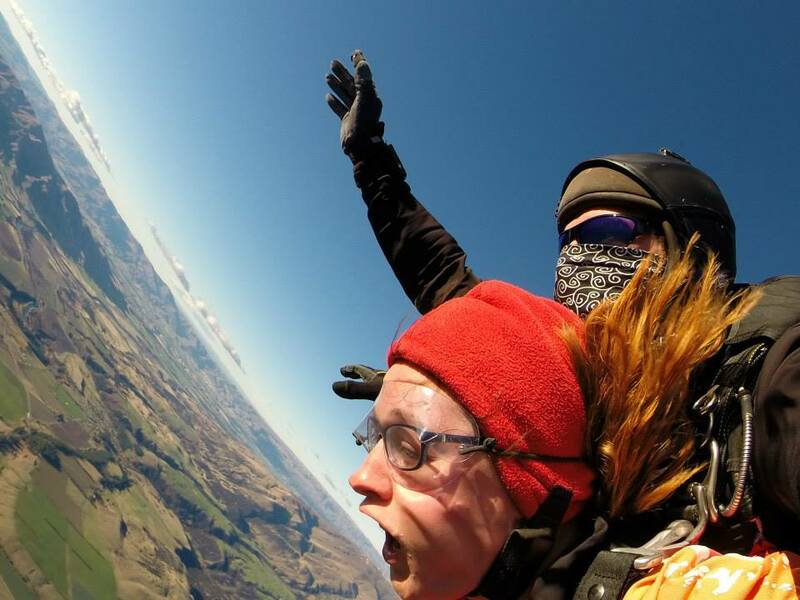 A five hour tour of the famous Marlborough region for just $75 – bargain! My travel buddy and I joined the tour around 1pm, meeting a friendly Kiwi couple from Bay of Islands who had been on the tour since 11am – I was impressed! 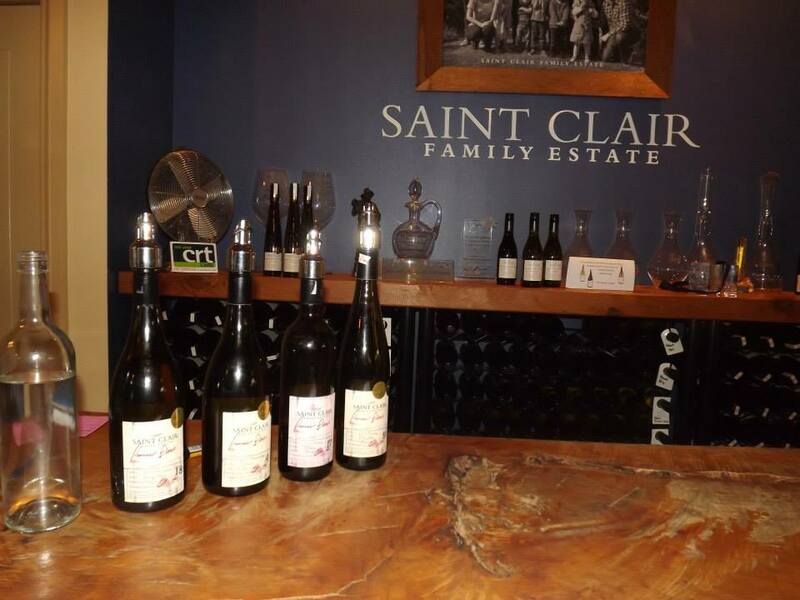 They showed us the many bottles they had purchased from the vineyards previously visited, but they were still looking for the perfect Pinot Noir! Throughout the course of the day we visited a total of five, including one that solely produced champagnes and sparkling wines. 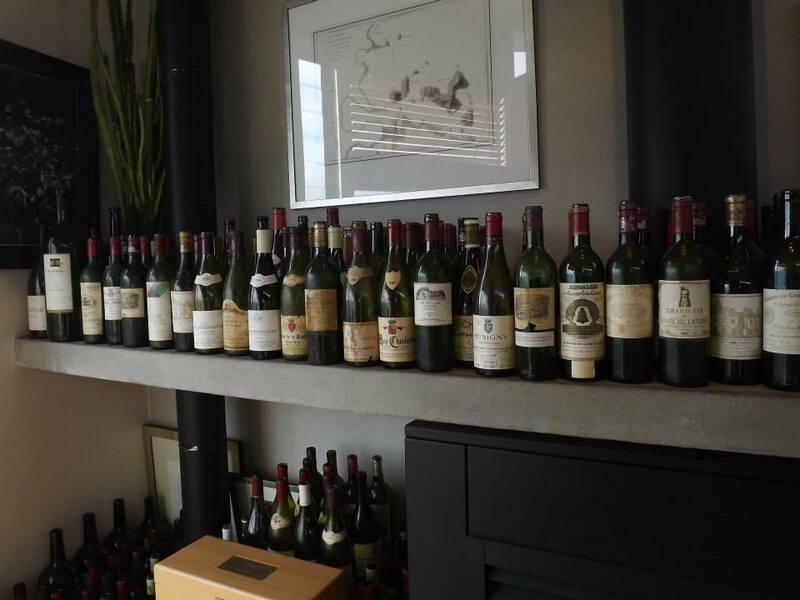 I couldn’t believe how generous some of them were with the tastings. 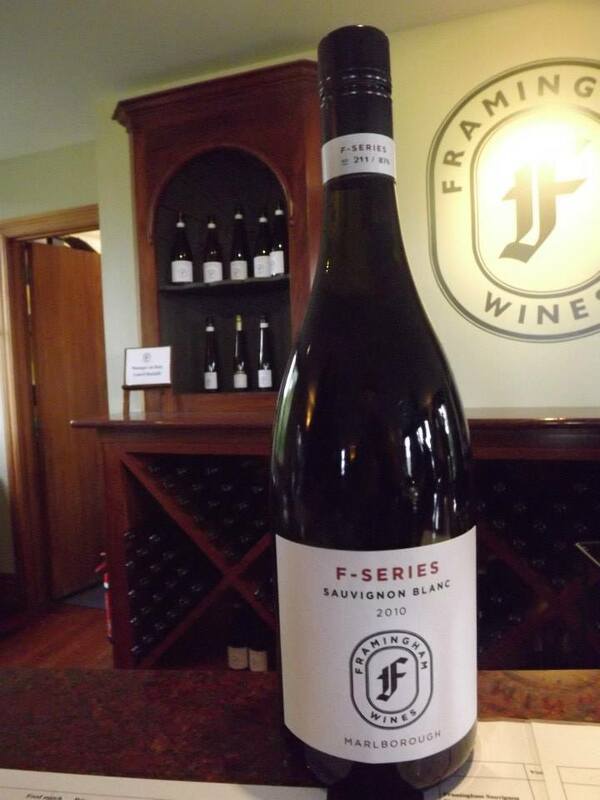 At the very first place we visited, Forrest Wines, I tried eight wines. EIGHT! We were first given a glass of their signature Sauvignon Blanc, after which we were shown a list of all their wines and told we could try whichever ones we liked, so, naturally, we tried as many as possible! I ended up purchasing a bottle of the Malbec, which was a shock to me as well because it was a bottle of red, but it was full of body and flavour – $20 a bottle. At the second vineyard, I purchased, again, shockingly, a bottle of Rose. I’m not a fan of pink wines usually, I find them to sweet. This one, however, from Framingham, was dry and really different. 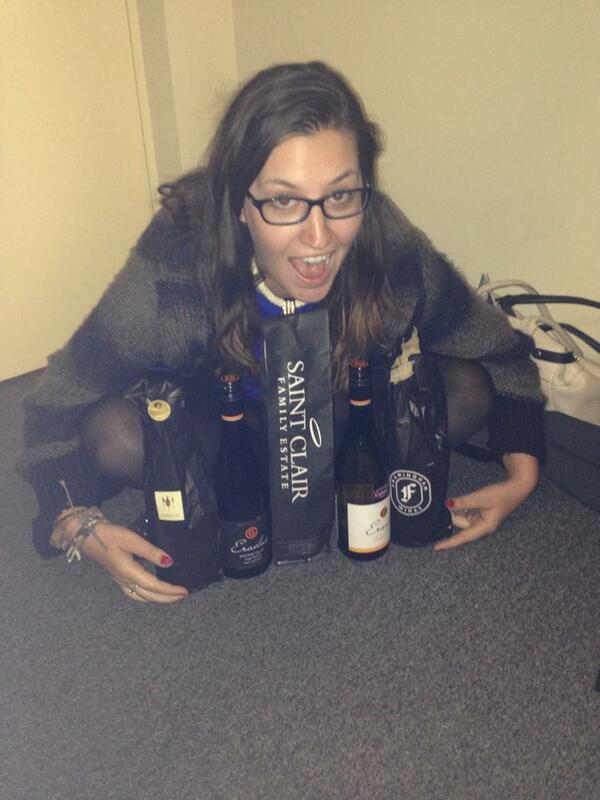 By the end of the day, I had bought five bottles of wine. Two red, one white, one rose and a sparkling. I hadn’t even thought of buying any and yet here I was, a backpacker with five bottles of wine that I somehow had to stuff into an already full rucksack. Oops. I was really impressed by the range of wines that this region produced, and by its ability to make me love red wine. I still have the bottle of sparkling wine I bought, I’m saving that for a special occasion, but the others we drank as the trip wore on, treating ourselves after a busy day with a bottle of New Zealand’s finest. I am now obsessed with the full bodied reds like Malbec and Pinot Noir that the Marlborough region produces – I wish I could have brought home more! As we moved towards the West Coast of the South Island, we spent a couple of nights in the small town of Nelson. Only staying here essentially as a stop over, we weren’t sure what to do, but we soon discovered that Nelson was home to one of the few craft breweries in New Zealand, McCashins. Naturally, we decided to book a tour. 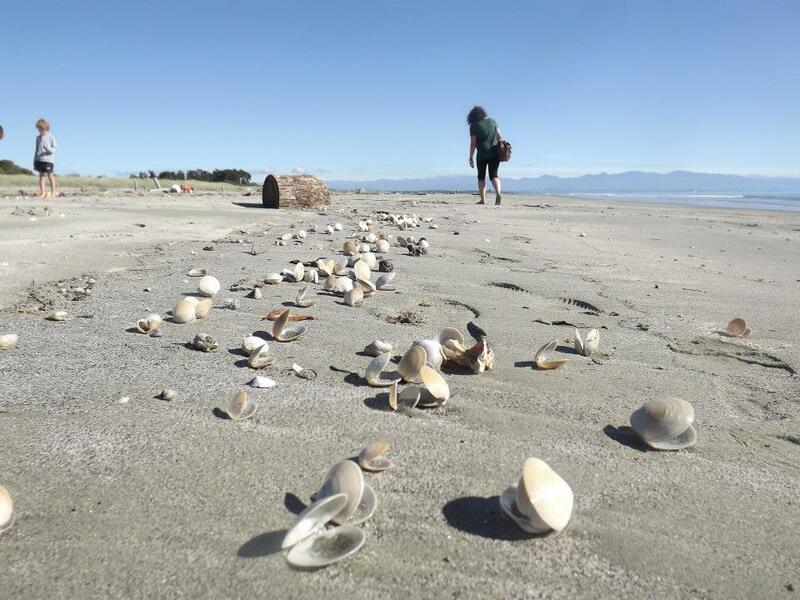 After a walk along the beautiful Tahunanui beach, we hopped on a bus to the brewery where we were greeted by our guide. He showed us around the brewery and each stage of the brewing process. He told us about the history of the building and all about the production of their craft beers. 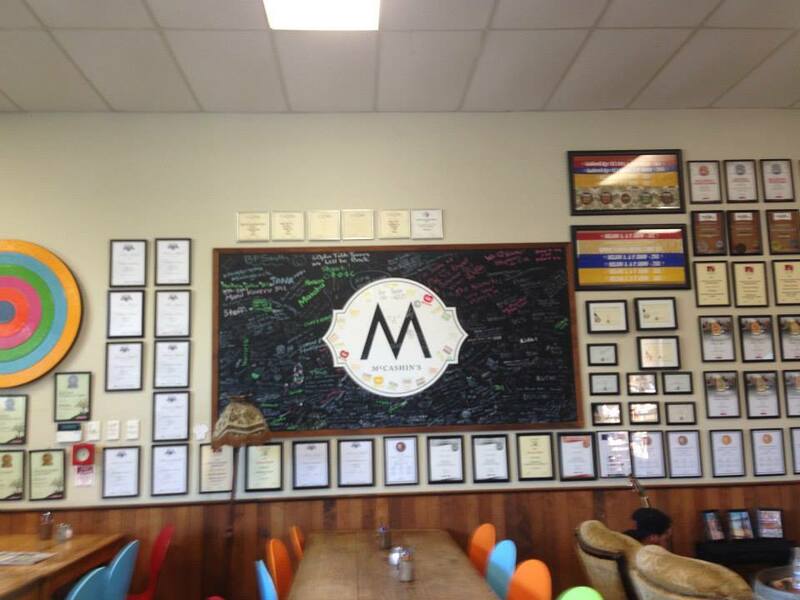 The walls of the brewery cafe/bar are adorned with awards and accolades that they have received over the years – a pretty impressive collection! 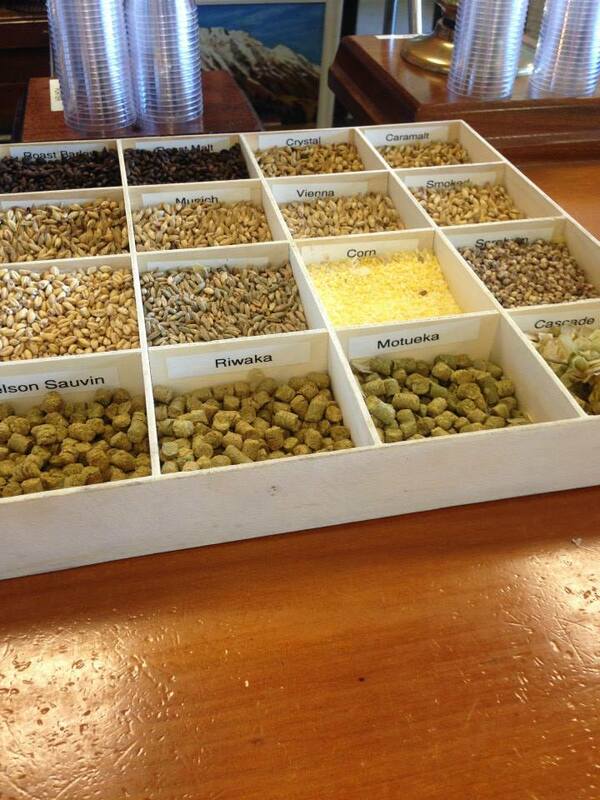 On the bar itself, a collection of the different hops and oats used to create their beer. After our tour, the tastings began. We were given small samples of a range of the stouts, ales and beers produced on site. I’m not very good with beer, I found a few of them a little too heavy for me, but the depth of flavour and the variety within the beers was pretty impressive. After the beers we moved on to the collection of Rochdale Ciders also produced at the brewery. Again the flavours produced really impressed and surprised me. They included traditional apple, juicy pear, ginger and lime, lemon and honey, and three berry. The lemon and honey was unlike anything I had ever tried, it was a little thicker than cider and strong with the flavour of lemon, but mellowed and sweetened by the taste of the honey. 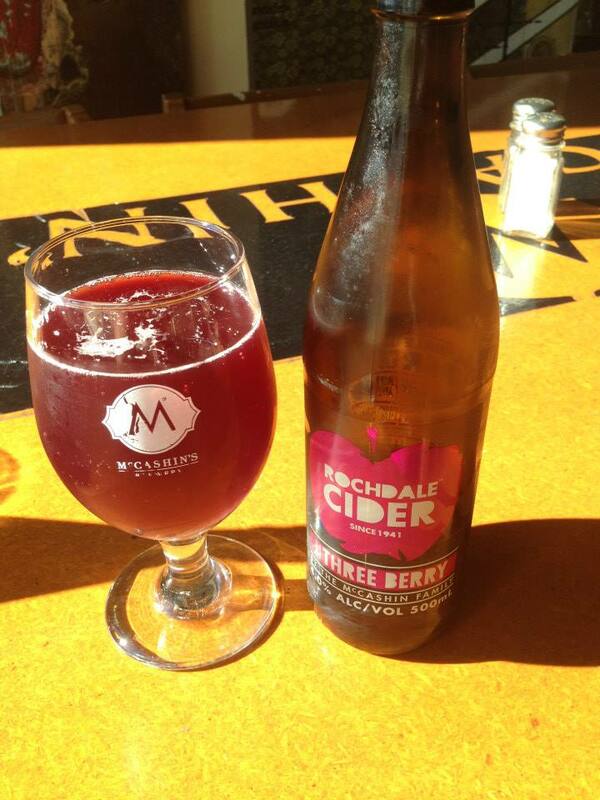 My favourite, however, was the three berry cider. I can honestly say it is by far the best I have ever tried – it tasted like alcoholic jam. The three berries added to the apple base to make this cider are raspberries, blackcurrants and boysenberries (I hadn’t heard of them either, but apparently they’re very big in New Zealand.) It was delicious and I was so tempted to buy some, but with five bottles of wine already being squeezed into my backpack, I just couldn’t manage it. I wait for the day when I get to try that beautiful cider again! I will always be in love with New Zealand. I’ve never been anywhere like it and it’s a place I dream of returning to long term. I got to explore such a small fraction of it’s culture, landscape, history. I only touched the surface of the world of food, wine and craft beer of New Zealand, and I encourage everyone to take advantage of all this amazing country has to offer, including sampling it’s many stunning wines!